The food & beverage department is the most scrutinized operation throughout the Club. For example, golf course expenses may exceed budget in any given month with no consequence. However, if the food cost is even one percentage off budget, Chefs are held accountable and need to justify the variance. The reason is that confusion abounds when Boards and/or committee’s review the food operation numbers. The industry is full of “non-truths” or misconceptions such as “we lose on food but make it up on volume,” and other icons of misinformation that some well-meaning members have elevated to commandment status. A Chef that knows the numbers will be able to head off many of these misconceptions and actually run a more efficient operation knowing he/she is on top of their game. Most clubs are hard-pressed to show a profit on their food and beverage operation for a lot of valid reasons. However, it is the single area of operations subject to the gravest scrutiny by finance committees and boards. 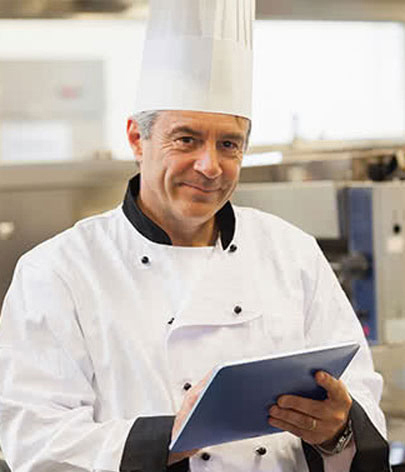 General Managers need the support of a knowledgeable Chef when it comes to substantiating the food operation. Thus it is important for Chef’s to understand what the real truth of some of the measuring sticks employed and why a certain statistic might represent an efficient operation – or be a warning sign. Is the Club purchasing the best products at the most competitive prices? Is there undue waste in preparation and utilization? Is the pricing mix realistic to achieve the desired result? Is the statistic skewed because of an unusual business mix for the period? Food cost typically does not just represent the actual cost of all food consumed by members at the Club. There is an adjustment against the gross cost to represent feeding club employees: The Cost of Employee Meals. In many operations this is an arbitrary amount, calculated either at X dollars per meal per employee, or as a percentage of the gross cost of food, or as a percentage of the food sales. At best this figure represents an educated guess, not a fact. So in benchmarking to industry standards one should make allowances for how this credit is calculated as well as for the general employee meal policy of the Club. For example, some clubs provide meals for the golf course employees while others do not. Chefs need to have a handle on employee meal cost and know how it affects the numbers? This cost (food) is also greatly impacted by the ratio of parties to a la carte sales. All club executives will tell you that there is a much greater gross margin on meals where the precise number is known in advance (parties) as opposed to the waste inherent in a la carte service. Generally there is also a better mark-up on banquet items as they are not as price sensitive in most Club operations as the lunch and dinner menus are. It is important to know your mix of banquet vs ala carte food sales. In any given month this mix may vary from plan which results in either a greater loss or, increased profit depending on the month’s mix of sales. For example, if the standard (what the budget based on) is 55% Banquet and 45% ala carte and during a given month there were fewer banquets and the sales mix ends up 35% Banquet and 65% ala carte; in theory the food cost should be higher in this particular month. Chef’s must understand the impact of the sales mix ratio and be able to articulate to others as to how it actually works! Another major factor that affects the numbers are “give-a-ways” The complimentary coffee in the locker rooms, the free Tuesday continental breakfast setup lady golfers enjoy or the healthy trail mix and fresh vegetables in the Fitness Center. It all adds up and cost the Club dearly. In some Clubs “give-a ways” are budgeted with proper credit and should not impact the numbers but there are many Clubs where this is not the case. The food stuffs are given to the members with no regard to cost. A knowledgeable Chef knows the impact of “give-a-ways” and needs to hold the reins on adding to this unless justification and credit is provided. I have always felt that menu pricing was an art form. An informed Chef will know what the competition is charging and depending on the stature of the Club will price his/her menus accordingly. Pricing is market driven and Chef’s must not only know what others are charging but what has been the tradition within the club, what the budget is based on and what menu items are or are not selling. For example, it may have little financial impact to sell a prime steak substantially below what that same steak sells for at a popular Steakhouse if you are only selling a few within the week. But if the number of steaks you sell increases, it can materially affect the numbers. Know where you stand and be prepared to speak about this if necessary. Same is true in pricing club events. A savvy Chef will price an event according to how it fits in the schedule. If it’s the biggest event in the month chances are you’ll need to price it to stand on its own. But if it’s in the middle of a busy banquet month you may be able to give more knowing it will be offset by other business. This may be preaching to the choir but I cannot emphasize enough how important finding quality purveyors and actually shopping for product is as opposed to just going through the motions. I have found purchasing is an area that is fueled by complacency. The Chef or Purchasing Manager are usually busy and thus fail to comparison shop and just reorder, not shop. Make time! A little extra effort on the front end can make a huge difference when the month’s-end numbers finally add up. Also, be sure to use all of your resources including comparing prices (especially for equipment) on-line or, shopping at a local warehouse i.e., Sam’s or Costco. I recall in the day purchasing case soft drinks. Compared to the delivered price from a purveyor it was more than worth it to send the Club Van to the warehouse to pick up a load of soft drinks and not settle for the delivered price from a purveyor. Another important element of financial concern is labor cost. Compared to hotels and restaurants, Clubs generally run a higher labor cost. In addition, benefit cost is high as many restaurants do not offer health insurance and other benefits found in clubs. Control is the key when managing your numbers. If I can offer just one thought to maintain a good labor cost is not to wait until the results are in at the end of the month. You need to develop a system that allows you to account for your labor cost daily or at least weekly. Break down the budget to weekly increments and try to stick to it. Knowing your weekly sales forecast and upcoming events you can reallocate the budget using more labor in a busy day and cutting back on the slow days. Overtime is a budget killer and even saving a few OT hours certainly helps. Experienced Chef’s know the importance of continually educating their General Manager and/or Food Committee on their club’s food and beverage financial status. Working together and understanding what the percentages actually mean and how they compare against clubs of similar size will help the GM to defend the operation. Thus he/she can educate directors and committee members to make better judgments as to how the food and beverage operation impacts the Club. Understanding what the components actually mean and how they interlock will help solidify your position. Great article Chef, I strongly agree that the implementation of tools for tracking the costs of food and labor on a weekly basis are very important .